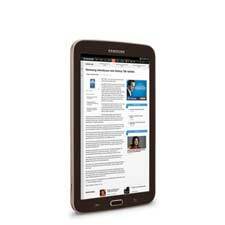 Engage and entertain the entire family with the Galaxy Tab 3 8.0 tablet from Samsung. 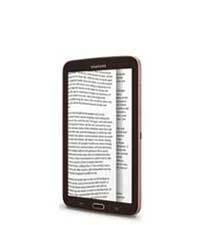 This thin, lightweight Android tablet features an 8-inch screen along with the same familiar interface as other Samsung Galaxy devices, making it easy to use. 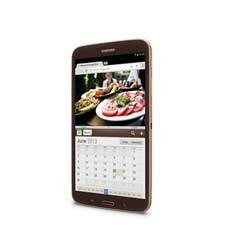 Use it to quickly browse the web, watch movies, read e-books, or download apps from Google Play. 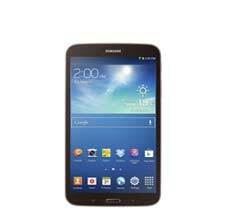 The Galaxy Tab 3 features an 8-inch display with a 1280×800 resolution, as well as a 1.5 GHz dual-core processor–making it well suited for downloading and watching the latest movies and TV shows, reading digital books, playing games, and more. *Available to new Hulu Plus and Boingo customers only. 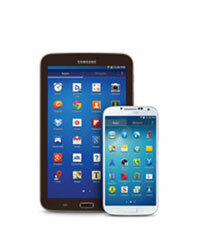 Check out www.samsung.com/us/galaxyperks to learn more. The Galaxy Tab 3 offers 16 GB of onboard memory and features a microSD card slot that allows you to add up to 64 GB of additional memory (microSD card sold separately), making it easy to store songs, videos, photos, and other files. 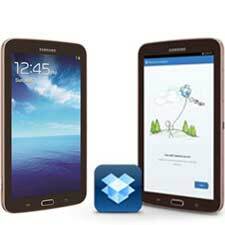 In addition, this tablet comes with 50 GB of storage at Dropbox, an online file-sharing service. 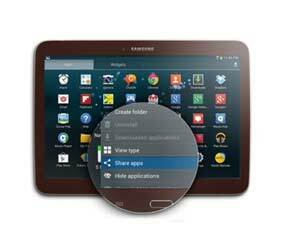 The 8-inch Galaxy Tab 3 offers the same features, settings, and user interface as other Samsung Galaxy smartphones and mobile devices for a familiar and intuitive experience. Music, videos, apps, contacts, and other content stays in sync wirelessly and automatically on both your tablet and your phone. Using the Galaxy Tab 3, you can curl up and read a good e-book or browse through the latest issue of your favorite digital magazine using reading apps such as Kindle, Google Play Books, and Barnes & Noble Nook, all available through the Google Play store. 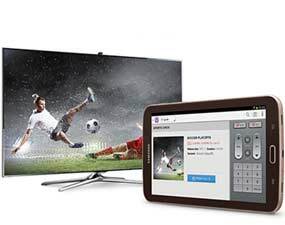 Thanks to a built-in IR blaster–the same kind found in standard television remote controls–the Galaxy Tab 3 can be used as a universal remote to operate nearly any TV or DVR. 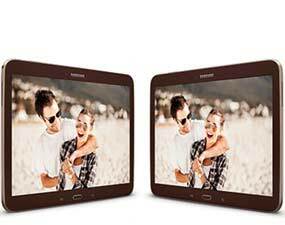 Samsung’s WatchON app offers advanced features, including the ability to share content wirelessly between the tablet and TV, and interacts seamlessly with Samsung Smart TVs. This thin, lightweight Android tablet is powered by a 1.5 GHz dual-core processor and offers up to 11 hours of battery life on one charge, making it easy to browse the web, download apps, check email, and enjoy social networking from wherever you are. The Multi Window feature makes the most of your Galaxy Tab 3’s 8-inch screen by allowing you to use two apps at the same time, side by side. With Multi Window, you can drag and drop images between apps, browse a restaurant menu while scheduling a dinner party, or watch a YouTube video as you’re chatting on Facebook. This tablet comes installed with the Android 4.2 Jelly Bean operating system, contains a 1.5 GHz dual-core processor, and has an 8-inch display with 1280×800 resolution, a 1.3-megapixel front-facing camera, and a 5-megapixel rear-facing camera. The tablet measures 8.24 by 4.81 by 0.27 inches (H x W x D) and weighs 0.68 pounds including the battery. 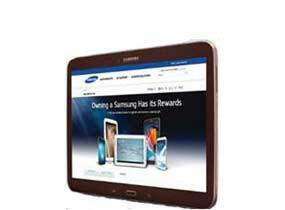 Samsung Galaxy Tab 3 8.0 tablet, USB charging cable, wall adapter, and quick start guide.